My first homepage was very "flashy" - it was actually written in flash hence very slow on a slow internet-connection. Many readers outside "broadband-countries" couldn't read it. My blog was on Tumblr. Sleak, smooth and simple - working fine. The second homepage never got fully fledged. The blog was now included. It was in Wordpress and for me: To much clicking and handling, understanding funny codes and reading long and boring instructions - so it went to the rubbish dump as well. 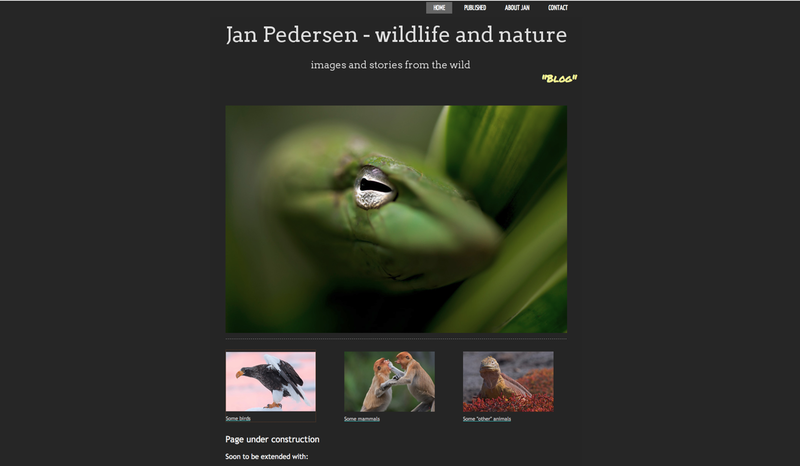 Hei Jan, Greta new site and Nice pica's!